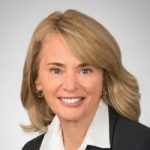 Anne MacRae has been in the factoring, trade financing, and asset based lending industry since 2006 and is the Vice President of Business Development with Express Business Funding, a leading factoring and ABL company. Having owned her own business in the past, Anne brings a deep understanding of the challenges entrepreneurs face in obtaining financing and managing cash flow and she has used this experience to help hundreds of clients secure funding to grow their businesses. Anne sits on the board of directors of the International Factoring Association, Canada Chapter, and is a regular contributor on panels and in publications on alternative lending. Follow @annemacrae1 on LinkedIn.